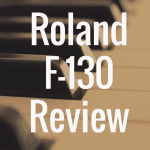 In this article, I’ve going to break down exactly what I liked and disliked about the Roland FP90. 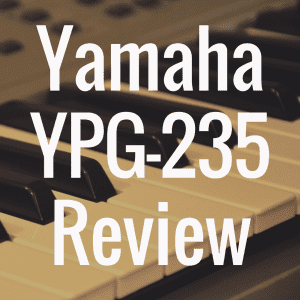 Hopeffully, it will give you excellent insight into whether this is a digital piano that’s worthy of your consideration and money, or if you’re better suited considering another piano brand or model. And, to better help you make the right choice, we encourage you to use our interactive table below to compare the Roland FP90 to other notable digital pianos. Is the Roland FP-90 Memorable? I’ve long been a fan of Roland keyboards, and there are very few that I’ve been disappointed by. I just love the realistic piano tone, made possible by the superlative SuperNATURAL sound engine. Match that with a fantastically convincing keyboard action, and you have all the makings of one of the best digital pianos on the market. Nonetheless, I was a little surprised at how much I fell in love with the FP90. Let me put this into context. I loved the FP30 when I tried it out it — it ticked off a lot of the boxes for me. For a fantastic price, you get an amazing stage piano. But I was a little non-plussed about the FP50. It was lovely, don’t get me wrong, but I struggled to discover enough of an improvement to the feature-set to justify the huge jump up in price. So, I mentally prepared myself to be a little disappointed by the FP90. 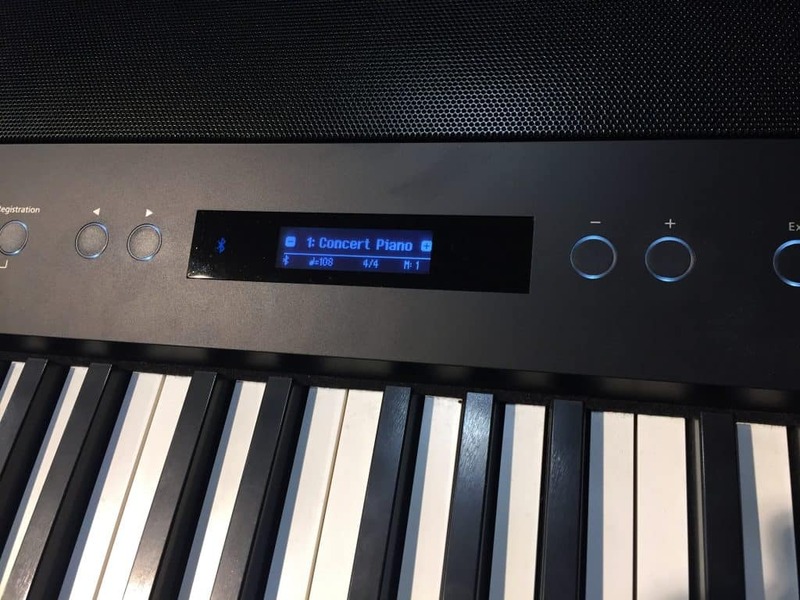 Love at first sight happens rarely, but you just need to take a look at this stage piano to realize that Roland has invested a great deal of time and effort into product development here. And they’ve produced a keyboard that ticks boxes that I hadn’t even realized needed ticking. 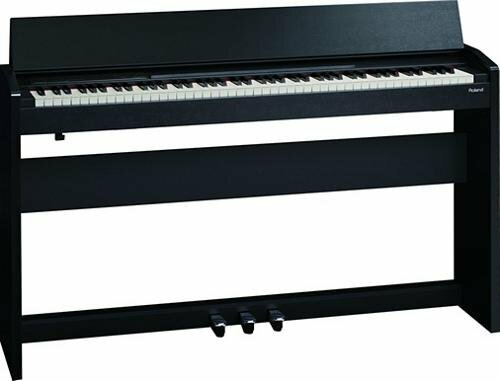 Below, please take a moment to view some of the best selling digital stage pianos on the market, and then see how well they compare to the Roland FP90. All stage pianos are, inevitably, judged by their ability to function as a gigging musician’s friend. That means it’s got to be easy to carry around. This is the one major draw-back with the FP90 – it’s 52 pounds (23.6kg) in weight. Roland stage pianos are always the hefty kids in the stage piano pack, but 52 pounds is clinically obese! But let’s not throw the baby out with the bathwater here. There is a major saving grace. As a gigging musician, I’ve always had to transport my stage piano (FP3), my Peavey PA, mic stand, keyboard stand, sheet music and accessory bag. It’s a heck of a lot of gear – but the most substantial is the PA. The FP90 has a built-in mic preamp, with a great selection of digital effects, such as a compressor; voice doubler to provide a fuller tone; and echo. This means that I could go out on the road without having to take my PA. Just plug in and go. So, I think we can forgive its rather voluminous stature. In terms of the physical build, everything about the FP90 feels sturdy; emitting a sense of true quality. The volume and graphic equalizers have a well-made feel to them – the slider itself is rounded and provides a satisfying glide. The speakers are upward facing and recessed along the entire length of the unit, covered with a metal grill. There are 4 speakers which offer a full stereo image, including a really subtle, but noticeable, directional placement – the low notes come from the left-hand side, while the upper notes come from the right. 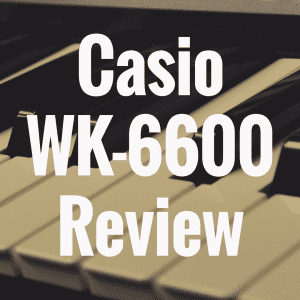 The LCD display offers one of the best user interfaces I’ve seen on a stage piano, which is refreshing because it tends to be added as a distinct after-thought with cheaper stage pianos. The interface is simple to use and takes very little time to master. Everything’s laid out comfortably, with the gigging musician definitely in mind. The casing itself feels substantial rather than plasticky. All-in-all, this feels like an impressive instrument, with a reassuringly sturdy build. Of course, no digital piano worth its weight is going to impress if the keyboard feels awful to play. And, in true Roland style, the keyboard is genuinely wonderful. The 88 keys are made from wood, with an ivory-feel surface. The progressive hammer action feels heavier at the bottom and lighter at the top, just like a genuine grand piano. And, for added reality, the keyboard has a great escapement mechanism. It’s quite easy to get lost in the moment with such a convincing keyboard when partnered with an amazingly rich and powerful piano sound – modeled with 100 levels of touch sensitivity. It’s rare for a digital piano to respond so accurately to the musician’s hands, but I think that this keyboard has been built with precisely the right level of finger-give – you could be playing a real piano. The internal speaker system offers plenty of volume for small venues, such as restaurants, pubs and bars. The three-band graphic equalizer allows you to mold the sound to perfectly fit into the performance space. Restaurants often require the sound of your piano to be heard, without overpowering the chatter of their customers. That can be a delicate balance at times, but with the FP90’s graphic EQ, you can make sure that you don’t boom your bass right into the diner’s faces. The speakers are easily loud enough to cope with accompanying a 12-person choir, filling a concert room, as demonstrated in this video, with an impressive maximum of 107dB. The piano sounds are superb, and matched with limitless polyphony, provide the most realistic sustain to any digital piano that I’ve come across. When you switch the instrument on, it defaults to Concert Grand – a pure, rich sound focusing around the middle frequencies, with a surprisingly bright bottom end. Ballad Piano has a slightly nasal quality that sits around the bass frequencies, providing a lovely, rich tone full of soothing realism. Bright Piano pretty much delivers the brightness that you’d expect, with a stunning bottom end. The Upright Piano has all the guts and boom of a genuine upright, without being muddy around the middle. There are 15 piano tones in total, and I found it difficult to find a favorite because they all became my favorite. Additionally, there are 16 electric pianos that transport you directly to the 70s, with some fantastic Fender Rhodes emulations. There are 11 string tones which are generally ok, but none of them sounded particularly realistic. The 15 organ tones range from the classic Hammond style with a wonderful stereo rotary speaker effect, to a very passable church organ. There are 15 specific pad sounds, which would be useful if you’re a member of a band and looking to fill out quieter sections of a song. There are 278 “other” voices, ranging from 8 reasonably convincing drum sets, to a range of sound effects, which might come in handy if you’re accompanying a stage show. All of the voices sound great, both through the internal speakers and through headphones – which offers an awesome ambient, 3D experience. 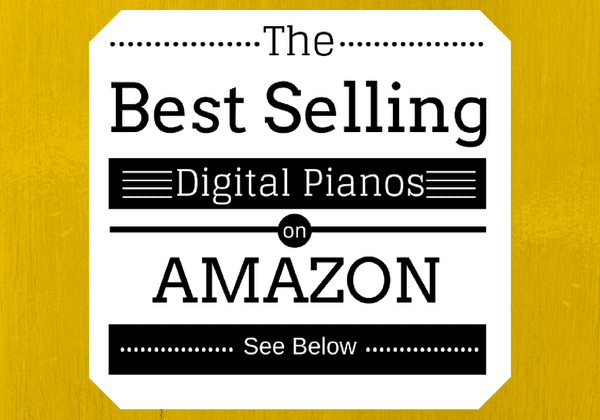 The “Piano Designer” is accessed through the LCD display, providing excellent edit ability of the piano sounds. You can change the lid position; alter the key-off and hammer noises; change the string and cabinet resonance; vary the soundboard type; amongst a variety of other options, giving you excellent authority over the sound. 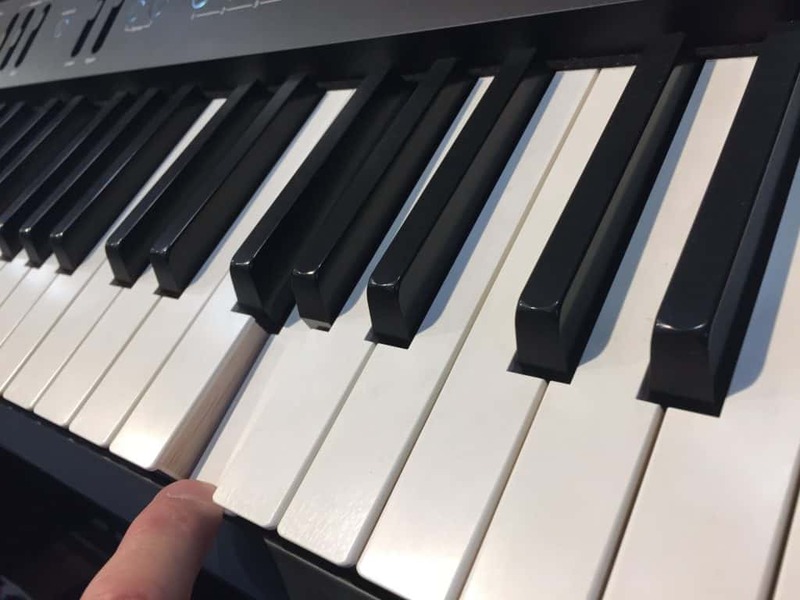 Bluetooth technology continues to drive innovations with electronic musical instruments, expanding the capability of the digital piano even further. There are some fantastic DAWs and synths available on the iOS platform, including a full studio experience with Cubasis 2 and Garage Band, as well as the impressive synth collection offered with Korg Gadget. The FP90 has Bluetooth MIDI and audio capability, which means that the sound produced through the app routes itself through to the FP90’s speaker set, with amazingly low latency. This is truly impressive, making the FP90 an absolute no-brainer for the band member or home studio fanatic. There’s an impressive selection of connection ports situated at the back of the instrument, including connections for the damper pedal; mini-jack stereo input (for connecting iPods and the like); stereo output via 2 1/4 inch jacks; a USB socket for connection to a computer; and 2 headphone sockets. There’s no XLR socket for the microphone, which gives superior clarity to your microphone, but we can live with a 1/4 inch jack, I think. There are 2 pedal sets available – the DP2 which is just a damper pedal (which is usually included); and the RPU-3 which provides soft, sostenuto and damper pedals, for greater control over your play. 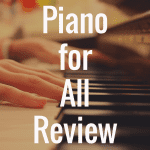 There’s a selection of piano playing modes, including a split mode that allows you to assign the split point on the keyboard, useful for duet work and piano lessons. The built-in metronome makes this a useful instrument for practice, whilst the transposition facility makes this a versatile accompaniment instrument. The “Part Sliders” are a useful addition, and something I’ve not seen in any other stage pianos. They allow you to change the balance of instruments when combined. For example, you might combine a piano sound with strings – the part sliders allow you to get the balance of instruments just right. An equivalent stage piano in a similar price range is the Kawai ES8, which, I’ve got to say, I was a little disappointed with. The ES110 is a great stage piano with a superb playing action, but the ES8 feels heavier under the fingers. I actually prefer the keyboard feel of the ES110, so the ES8 pales into insignificance next to the glorious Roland FP90. If the keyboard action feels lousy, there’s not a lot else to recommend it, which is why I’d go with the FP90 like a shot. 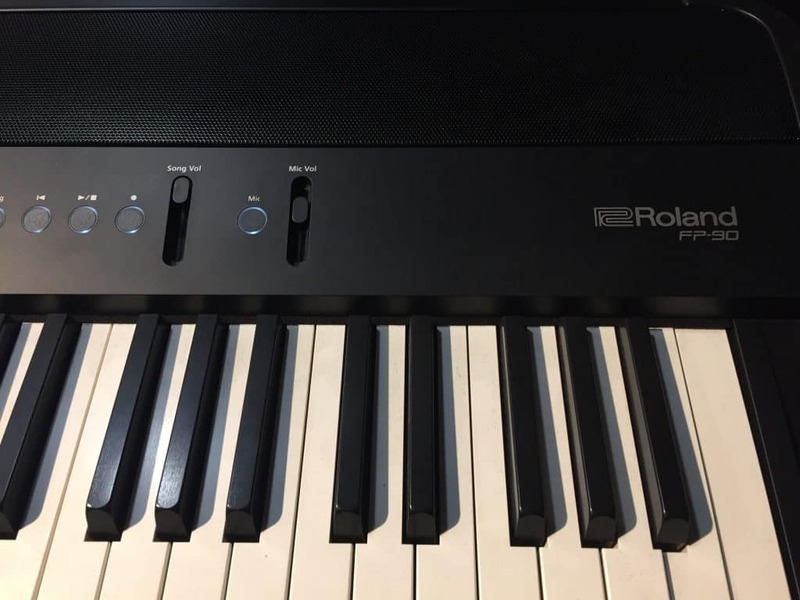 The Roland FP60 has a very similar aesthetic to the FP90, and has 288 note polyphony which is completely ample, but not as impressive as the limitless polyphony of the FP90. The speaker set is not as powerful, and there’s no microphone input, which immediately rules it out for me, but if this is a feature you’re unlikely to use, you could save yourself some money and go with the equally impressive FP60. The Roland RD-2000 is a beast of an instrument and would make any gigging musician proud to grace the stage. 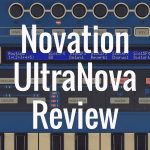 There’s a colossal instrumental set and two independent sound engines, providing a dizzying array of synthesizing capability. It’s also twice the price of the FP90, so if you have a bigger budget and love electro / EDM, the RD-2000 would make you very happy indeed. In all honesty, there’s very little, other than its titanic weight, to dislike about the FP90. It’s one of those keyboards that you almost instantly fall in love with. And the love affair is likely to last longer than most marriages. 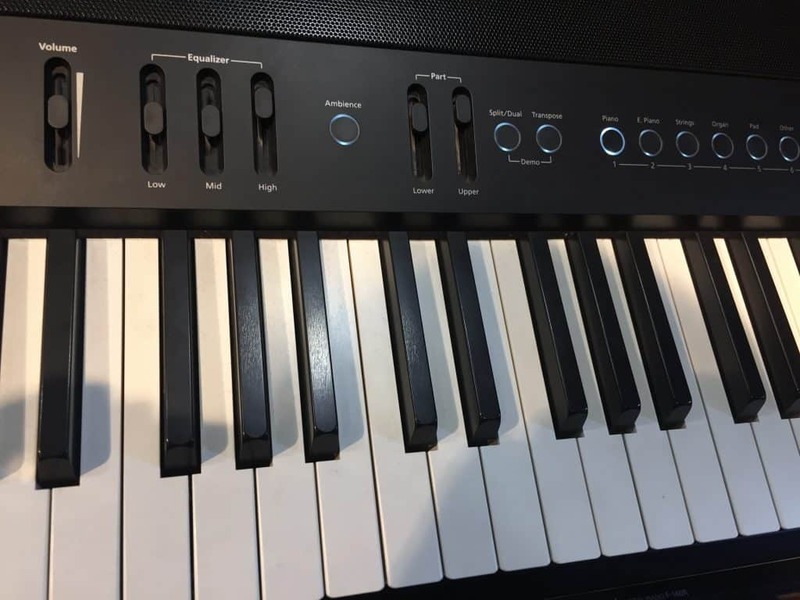 If you’re looking for a new keyboard to take out on the road, or just to indulge yourself with at home, then this Roland digital stage piano is absolutely worth your consideration. If you enjoyed this article, please “like” us on Facebook! 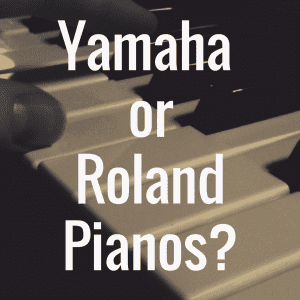 What is the Best Roland Digital Piano with Weighted Keys?